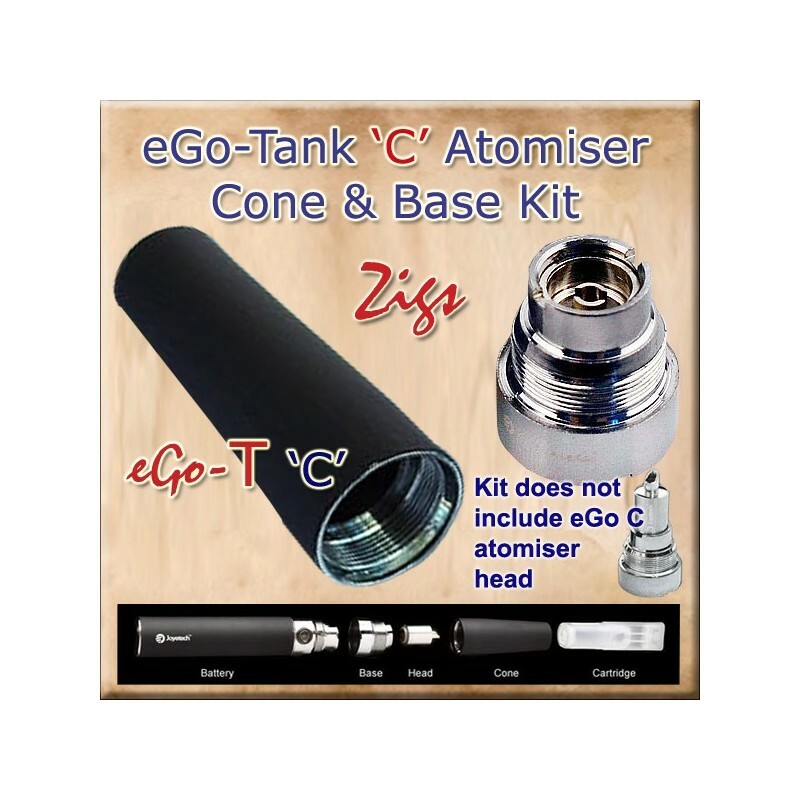 eGo-C Tank electronic cigarette atomiser kit comprises of the cone and base to house the eGo-C Tank atomiser head. 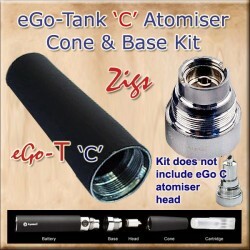 Saves money as only the atomiser head needs to be purchase each time at only £2.50. Remember to buy at least one atomiser head to fit into the atomiser shell kit. Atomiser head not included. Compatible with eGo batteries. Convert your eGo tank e cigarette to the latest eGo-C electronic cigarette by purchasing the Zigs eGo-C Shell kit and atomiser head.